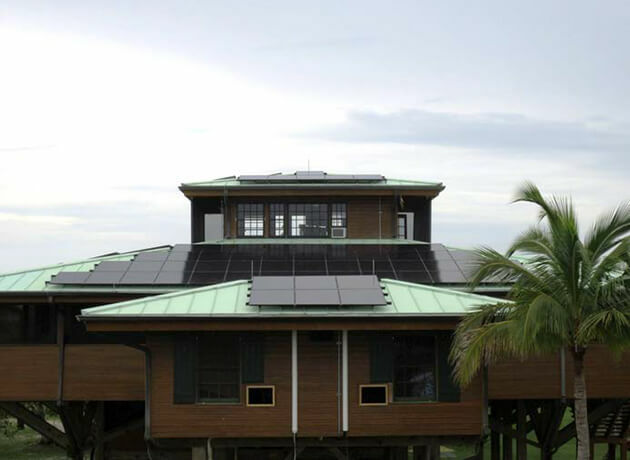 Lithionics Battery® offer battery solutions to support your off-grid or grid-tied home installation. 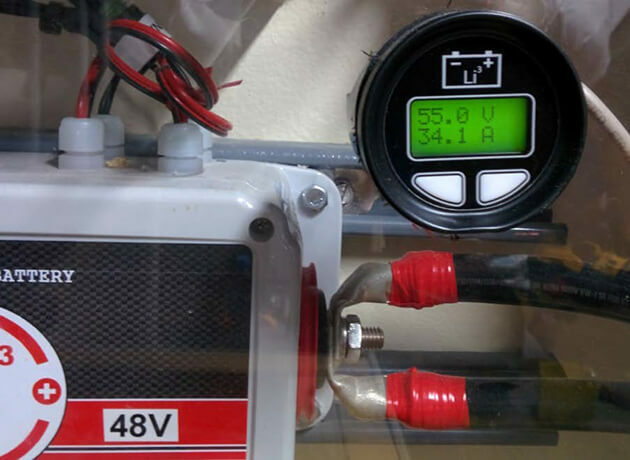 Lithium-ion Iron Phosphate can replace lead acid battery banks and offer a smaller footprint, lower weight, no maintenance, generator run time reduction, and superior recharge efficiency. 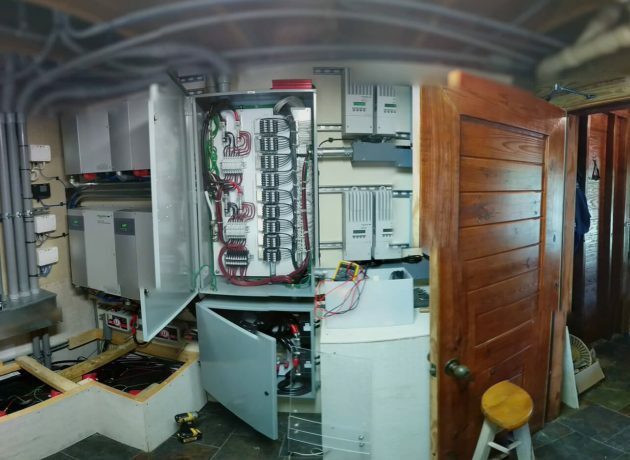 In many cases, the lithium battery bank can even be installed inside living space, eliminating the need for additional construction. 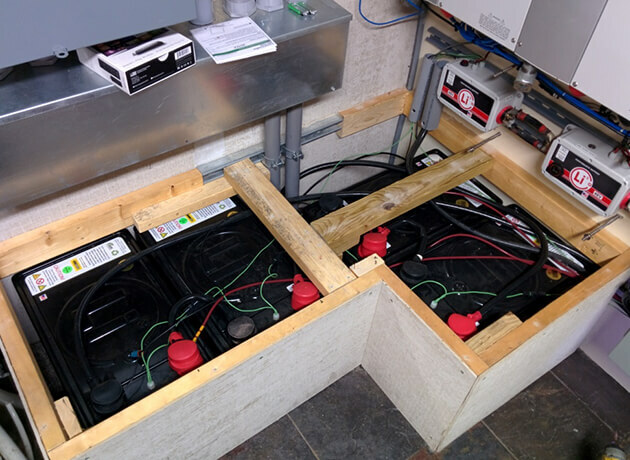 In the home example pictured below, a 48V 3000Ah Lead Acid AGM system weighing 12,000lbs was replaced with a 51V 900Ah Lithium-ion Iron Phosphate system weighing only 1200lbs. 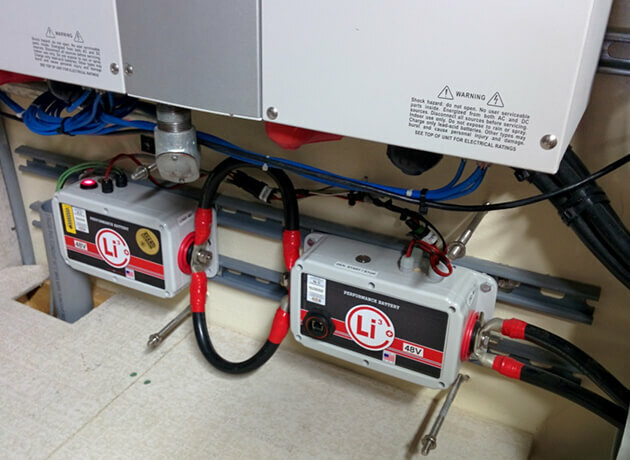 The need for concrete support pilings were eliminated for the long-term, as the lithium battery system was installed in the laundry/utility room using low-cost wooden cabinets. 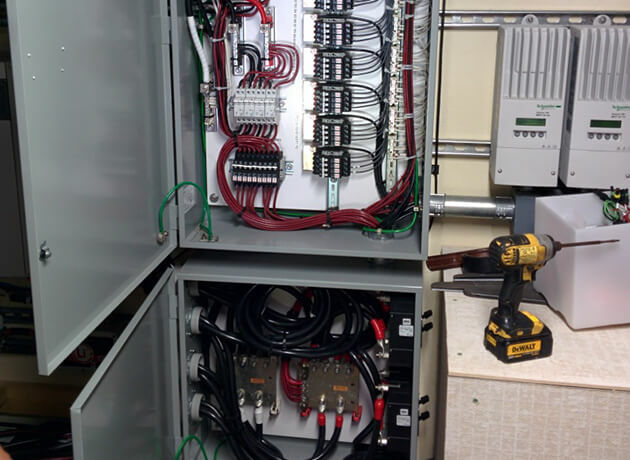 The diesel generator that formerly ran once per evening, now runs on average once per two weeks, as the 33kW solar array recharges the battery bank fully each day.